The road over the abyss along the very edge of the wagon is moving with people and horses higher and higher, it seems, to God Himself, to the sky. And under your feet clouds swirling, and somewhere deep down in the city, villages, people, there life. 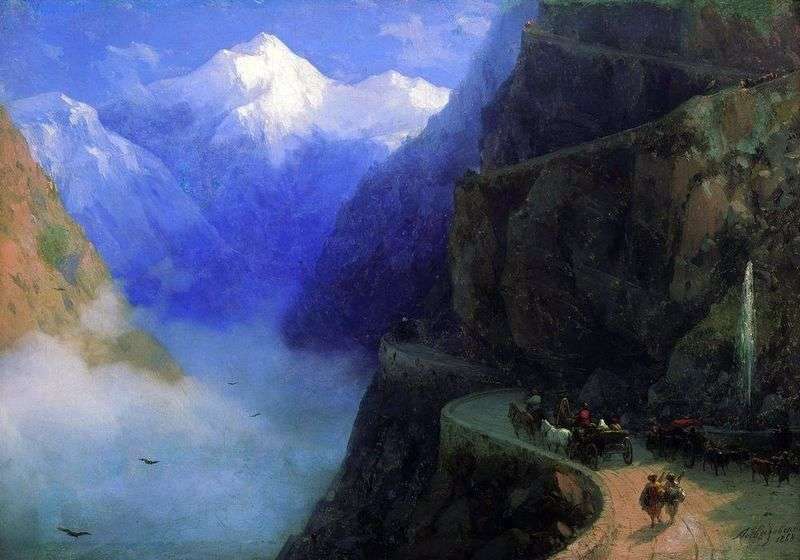 Description and meaning of the painting The road from Mljet to Gudaur by Ivan Aivazovsky.